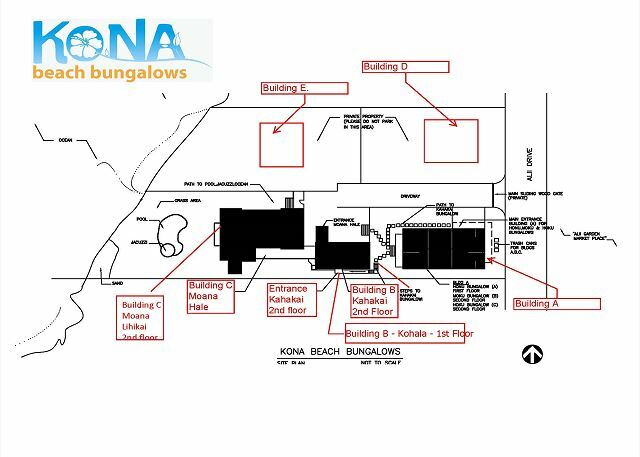 The Honu (means Turtle) Bungalow is a downstairs 3 bedroom, 2 bath spacious air-conditioned bungalow with a spectacular outdoor slate floor Lanai with a main sitting area with beautiful outdoor furniture to relax and enjoy your morning coffee and a large outdoor dining table with 6 chairs. The Honu has a barbecue to enjoy some of the Hawaiian delights. 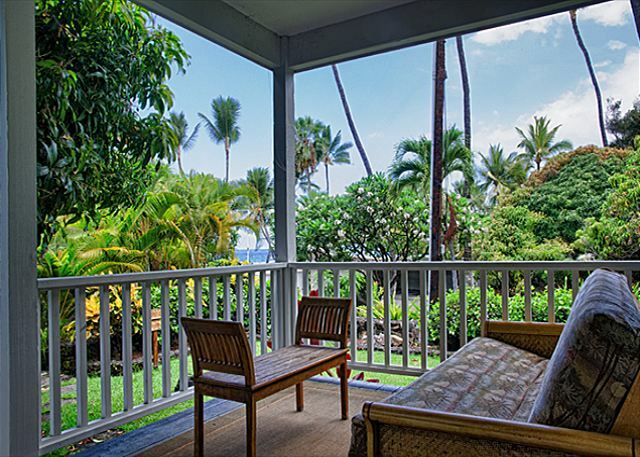 This Kona home away from home lends itself to a relaxing fun vacation on the coast of the Big Island of Hawaii. Ideal for 6, beautiful pool and sunsets!! This property is one of a few on the lot. 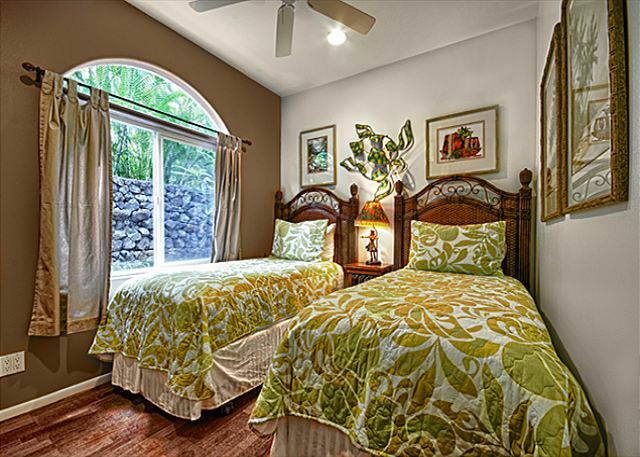 You share the pool and beach frontage with other guests. We had it to ourselves which was nice...but my kids wouldn't have minded a few other kids around!! That being said, we were in the lower unit...I wonder how noisy it would have been if there was someone above us in the upstairs unit. The garage is FULL of every thing you could need, snorkels, fins, boogie boards, sand toys, pool toys, beach chairs, water shoes, golf clubs, etc etc etc!!! The two washers and dryers make laundry a snap!! I especially loved the oversized showers in the unit. The kitchen is well stocked with pots, pans, cutlery etc. The sunsets on the beach with the waves crashing and turtles hanging out (3 one night)were just amazing!!! 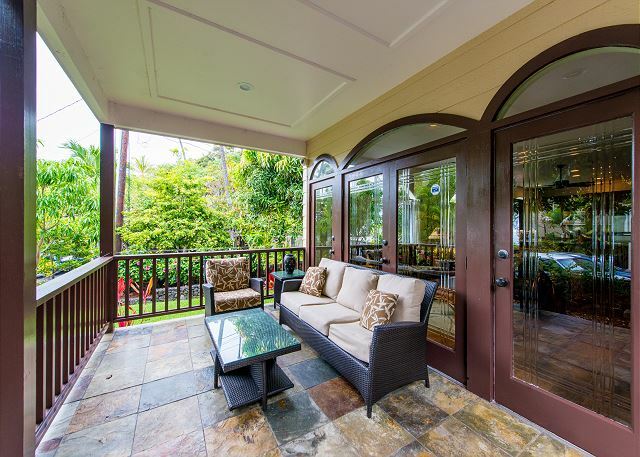 We got a lot of insect bites while on the lanai, so don't forget bug spray. Less bites down by the beach where the breezes probably keeps them in check. We only spent 3 days as we were circling the island.....I would definitely come back and spend a week or more here. Paradise!! Aloha! We are so happy that you enjoyed your visit. Please keep us in mind for your next trip. 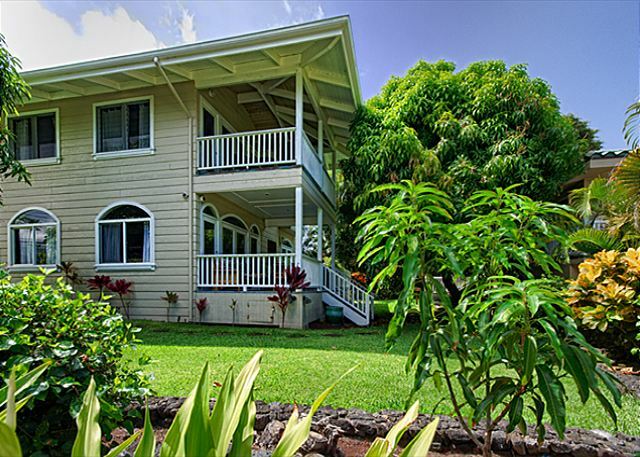 Remember, returning guests will receive a 10% discount for any units booked through Boundless Hawaii directly. In a word, our vacation rental was incredible. 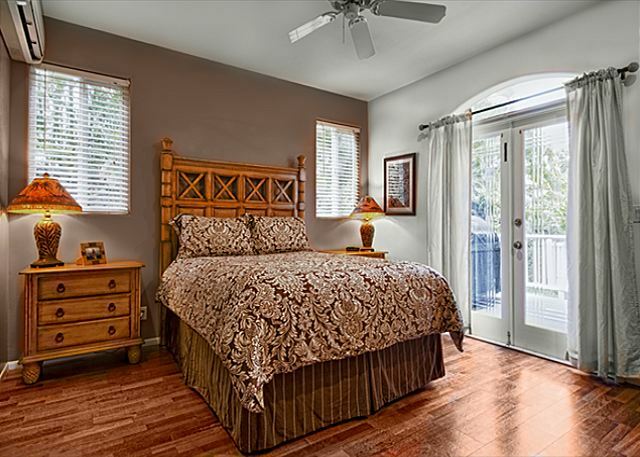 Spacious and open with beautiful furnishings and tasteful decor throughout. The bathrooms were amazing and big and the kitchen was awesome, too. The living room featured a top-shelf flat screen TV with a terrific sound system. 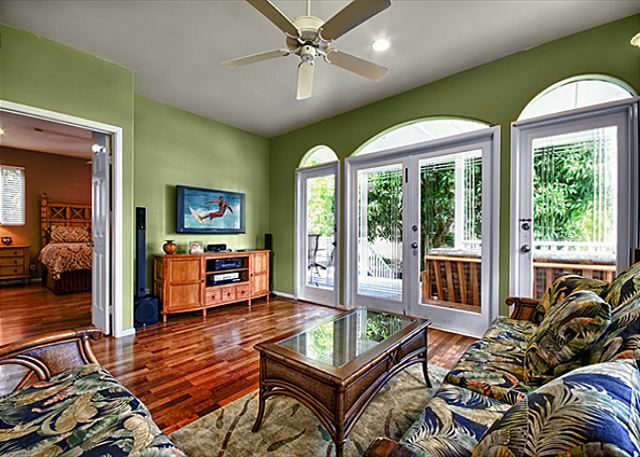 A stunning place to call home for vacation. This is a great place to stay if you know what you are getting. First thing to note is there are 3 or 4 rentals on the property, so most likely you won't be alone. 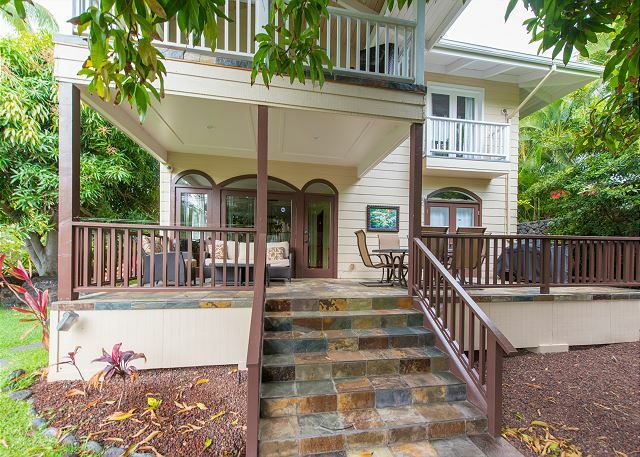 Hale Honu house is a downstairs unit and is NOT right on the water, but on the street side of the property. 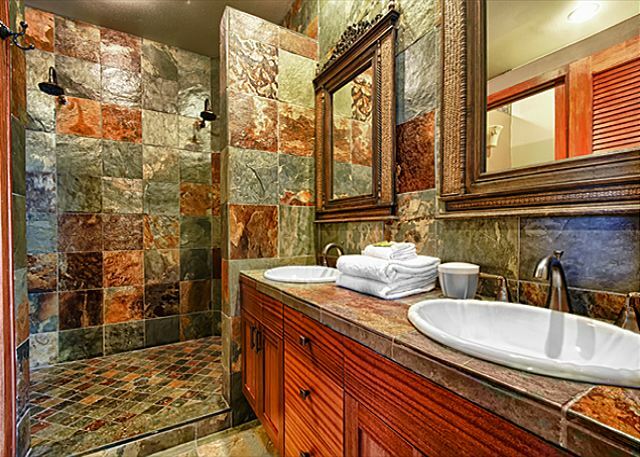 However, it is a very short walk around the big house to the ocean and beautiful pool, hot tub, and lawn area. The big house was not rented out during our stay, which I believe is essential to an enjoyable vacay here. We enjoyed watching the sunrise by the pool every morning without worrying about disturbing any big house guests. I saw whales spouting and breaching from the pool area every day we were there. Great whale watching spot. Parking is limited. We constantly were adjusting vehicles with the people staying upstairs and when guests arrived for the big house on the last day of our trip the parking got even more complicated. I honestly don't know how they would accommodate parking if all units were rented at the same time. 2 people had the automatic gate slam into their cars during our stay. They do need to put a chain or posts up to block off the gate area. Staff was great, we got a wonderful tour upon our arrival and felt very welcomed. Unit was clean and gorgeous, just as pictured. Everything we needed was there: beach chairs, towels, toys, etc. I would stay again for sure as long as the big house is empty. Great location, enjoyable time. We rented Bungalow A, which is ground floor and behind two more buildings to the ocean. 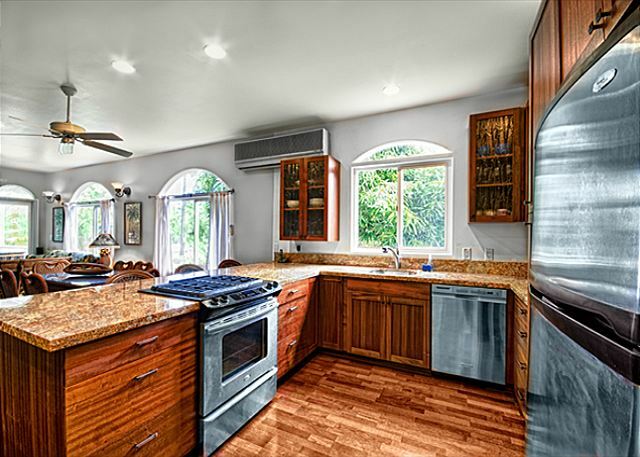 Overall, the property is beautiful, well kept and the setting on the ocean absolutely amazing. The other buildings (homes) can be rented together or separately. 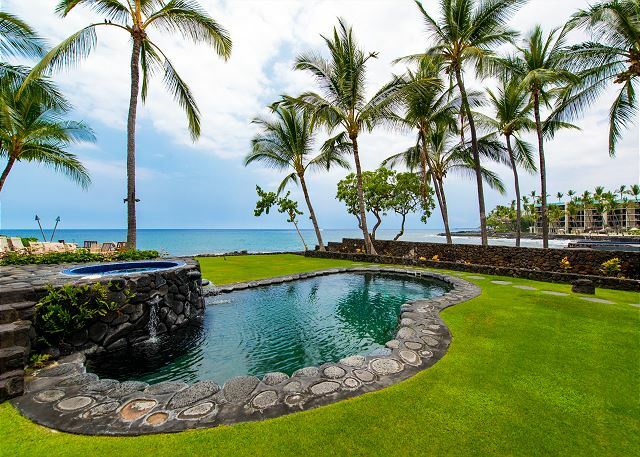 We were lucky in that the other homes weren't rented, so we had full access (ourselves) to the pool and lawn in the back which is on the ocean. From what it appears, up to 25 other people could be housed in the two other homes, so things by the shared pool, hot tub, etc might have been rather tight if the other homes were fully occupied. The linens were of good quality. A/C worked well in the bedrooms. I'd want to know how many of the other units were rented at the time. We found the unit not as clean as I'd expect, say in a four or five star hotel upon our arrival. Not the end of the world, but but great. A full length mirror would have been good, place was difficult to find perhaps you could put the name Alverez Estate so that it would be seen. we were disappointed that there was no real beach. Your rates were a little steep for what we received. We will definitely rent this Bungalow again. 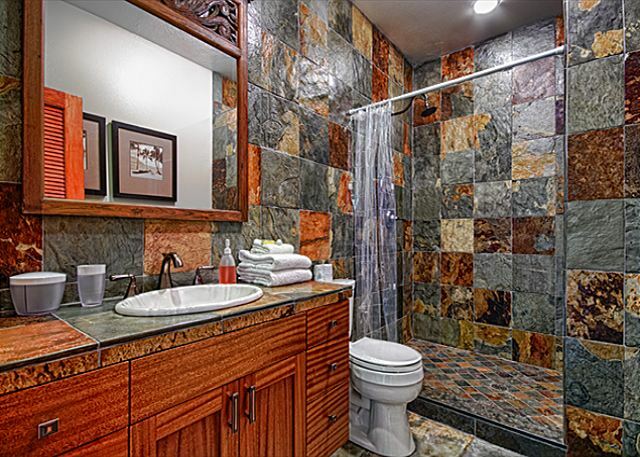 Beautiful property on ocean near town. The place came with very nice golf clubs, boogie boards, fishing poles, b-b-q and more. The owner of the he property happened to be there that week he was very friendly and helpful. My family stayed here for 5 days over Christmas it was a lovely home with very nice contemporary furnishings fantastic location on the water close to town and shopping. Would absolutely recommend!